The Fall Antiques Week Ends on Sunday! - AntiqueWeekend.com - Online Directory for the Round Top & Warrenton Texas Antique Shows. Its not too late to jump in the car and head for the shows. You have plenty of time! Some of the lodging operators do have rooms available. 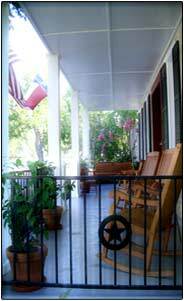 Our friends at the charming Olle Hotel in Flatonia let us know they have rooms available Friday and Saturday night. Only a few days remain for the Fall AntiqueWeekend. Big Red Barn and Marburger Farms close at 4pm on Saturday. Most of the Warrenton show sites will continue to be open on Sunday. Check our Fall 2016 calendar for specifics. Even after some shows close on Saturday, the fields in Warrenton will be busy. Even on Sunday, the earlier the better, you'll find dealers selling right up until they load their trucks. Last week's stormy weather has given way to nothing but sunshine. No rain in sight for the remaining days. ﻿﻿﻿﻿﻿﻿﻿﻿Afternoons will be warm, with cool mornings in the low 60's. Zero percent chance of rain forecast through Sunday. There is something about fall decorating, pumpkins, mums, colorful dried corn. This fall its all about cotton. Wreaths, stems, in arrangements and buckets. Bombshell Betty (aka Jodi Douglas) has a wonderful wagonload of real cotton branches (some still have the roots!) and the possibilities are endless. Visit Bombshellbettyshop.com online or at her booth at The Merry Christmas Store. Not all cotton is "real". 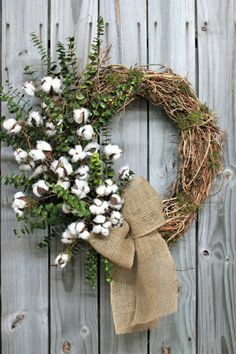 Some of the stems for sale online are faux cotton, which also gives a great effect. 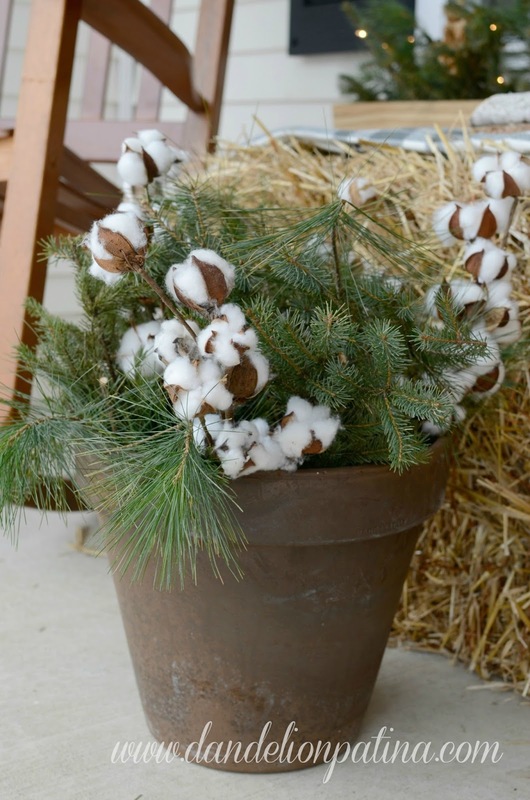 You can use a few stems to embellish a wreath or planter of winter evergreens, or fill a bucket with just cotton. I have a maple sap bucket I picked up in Warrenton years ago. I have filled it with many different things over the years, but this year its going to be cotton stems, red berries and cedar branches. It will look great hanging by my front door.